This week’s guest is one for the ages! 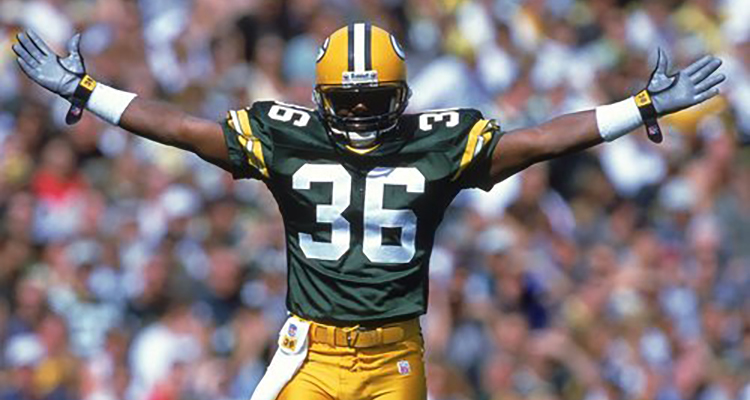 Host and lifelong Packer fan Tyler Maas was fortunate enough to get half an hour of LeRoy Butler‘s time to talk about the All-Pro safety and Green Bay legend’s storied career. The Pro-Bowler and Packers Hall Of Famer told Maas about playing under Bobby Bowden at Florida State, being drafted by the perennially pitiful Pack in 1990, memories from Green Bay’s unforgettable Super Bowl XXXI-winning season in 1996, and his historic first “Lambeau Leap” 25 years ago. Along the way, Butler talked about the work his foundation does to combat bullying, his upcoming wedding (which is open to the public, by the way), and whether he thinks induction into the Pro Football Hall of Fame might be in his future. Oh, and players like Jeff Thomason and Ron Cox come up in conversation, too! This episode is brought to you by Surly Brewing, a Minnesota-based brewery and the official beer of On The Record. Music used in this episode comes courtesy of Piles (“Blue Glue”) and Indonesian Junk (“See The Light”). Subscribe to On The Record via iTunes or Stitcher (for free! ).